Shailene Woodley doesn’t just play a rebel in the Divergent series. The actress is one in real life too —she was arrested today, October 9, after peacefully protesting the Dakota Access Pipeline. Thousands of people watched as the 24-year-old was cuffed for criminal trespassing, since she was filming live on Facebook at the exact moment of her arrest. The movie star shows how serious her situation is as armed guards circle her motorhome. “I was just told that the cops are following me. Send some prayers,” she reveals. The Fault in Our Stars brunette repeatedly asks riot police to allow her to return to her vehicle, but she is instead “grabbed” by her jacket and stopped. In the final four minutes of the video, Shailene is finally allowed to approach the RV. But instead of leaving the area, she’s met by police, who inform her she’s being arrested. Shailene seems to have been the first person arrested from the protest, although 26 more individuals were reportedly charged afterwards. Shailene stays calm under pressure, telling the camera, “I’m being arrested. I was down there with everybody else. As many on Twitter have pointed out, it seems as though no one read Shailene her Miranda rights as she was cuffed. Washington, DC — The number of arrests on the fifth day of civil disobedience protests known as Democracy Spring exceeded 800 on Friday. Youth and student was the fifth day of sit-ins outside the U.S. Capitol in a continuing series of the eight days of protests. Activists are confronting Congress over the influence of corporate lobbying and special interests in politics. Actress Rosario Dawson joined the protesters at the sit-in, along with Harvard professor Dr. Lawrence Lessig and author Chris Hedges. All three were arrested. “By being here and making history you are making yourself known,” Dawson told the protesters, before walking with them to the East side of the Capitol. She said that their actions were forcing Congressional leaders to step forward on getting money out of politics. Dr. Lawrence Lessig also spoke to the youth explaining he chose this day to get arrested with them because he believed in what they were doing. 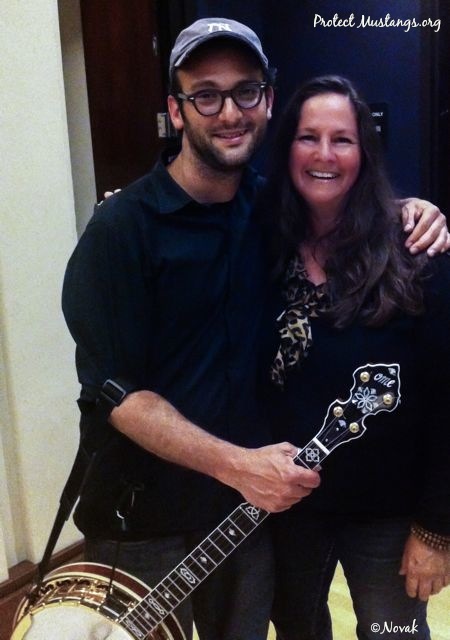 “I’m gonna march around this Capitol and get arrested with you,” said Lessig. Chris Hedges, author of Wages of Rebellion, said, “Any society that does not grasp that life has an intrinsic value beyond a monetary value kills itself.” He said that he was proud to be with youth organizing for change, but the movement for change must be sustained. Lessig, Dawson, and Hedges were charged along with over 100 students and youth with “obstruction” of the driveway on the east side of the Capitol. They were later released and given fourteen days to pay a $50 fine. Many traveled long distances, some from as far as Oregon and California, to join the Democracy Spring week of civil disobedience actions. Activists are calling on Congress to set aside the influence of “dark money” from Super-PACs and the uber rich, which they say tilts legislation toward corporate agendas. Other key issues included legislation pending for voting rights and fair elections, and a demand that the Senate act immediately to fill the Supreme Court vacancy. The Senate deferred holding a hearing to confirm the President’s nomination to the Supreme Court, despite the fact that Justice Antonin Scalia died ten months before Obama leaves office. Democracy Spring messages managed to reach the halls of Congress. The protests were joined by several members of the House on Thursday, including Congressman Henry Johnson of Georgia, Keith Ellison of Minnesota, and Congresswoman Barbara Lee of California. They expressed support for Democracy Spring and urged the movement to keep fighting for rights for voters, workers, and families. Representative Johnson told protesters on Thursday that Congressional members needed movements like Democracy Spring to help it pass legislation, and it was grassroots efforts that mobilized the people. “We’re calling to the public the importance of civil disobedience and mass non-cooperation as the only way we’ve seen change happen in this country,” said Dylan Lazerow, National Field Organizer for Democracy Spring. But the big issue relates to the impact of “dark money” on rights of the voters, noted Laserow. He said any effort to stem money influence flowing through Congress is going to take a sustained movement. “We know there is a super majority of people who believe there needs to be an end to big money corruption, but Congress is not responding to that,” said Lazerow. James Cole, a member of Wolf PAC, a group working to pass an Amendment to get money out of politics, said he believes Democracy Spring is making an impact in the media. Cole has been arrested three times. “What we’re doing here is politically advantageous because in the future our message will keep growing,” he said. “This is a call for people to come out,” said Lazerow. Washington, DC — A U.S. Bureau of Land Management District Manager from Nevada targeted by angry Nevada ranchers was more than justified in removing cattle from drought-stricken public rangeland, according to data released today by Public Employees for Environmental Responsibility (PEER). Tomorrow, protesting ranchers start a “Cowboy Express” ride to Washington demanding removal of BLM Battle Mountain District Manager Douglas Furtado as an “abusive federal employee” even as conservation groups urge that Furtado be commended not condemned for his actions. Like much of the West, Nevada has been in the grips of persistent drought, with nearly 90% of the state under “severe to exceptional” drought for three consecutive years. This, in turn, causes greater conflict over dwindling water and forage. Not surprisingly, Nevada has also become Ground Zero for rising tensions on range management as illustrated by this spring’s armed standoff with renegade rancher Cliven Bundy who has been illegally grazing his cattle in southern Nevada for more than a decade. Fence line contrasts visible in satellite imagery show that public lands in the checkerboarded allotment are far more heavily grazed than private lands, suggesting that ranchers are more protective of their own lands than they are of publicly-owned range. Western Watersheds Project intervened in the Argenta case when ranchers initially refused to remove their cattle despite their previous agreement. Even after an order from an Interior Department administrative law judge affirmed the BLM’s authority to remove the livestock, as many as 100 cattle remain on the Argenta allotment to this day. The records for all roughly 20,000 BLM allotments across the West, many of which show similar overgrazed conditions, will be displayed next month in a new PEER website documenting longstanding and serious ecological impacts caused by ongoing livestock overgrazing. 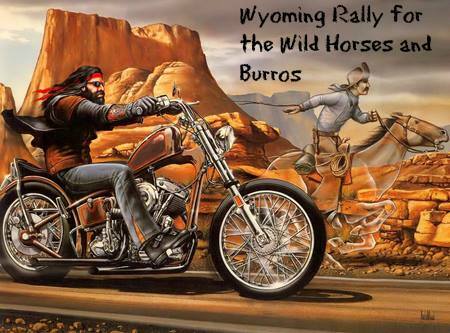 ROCK SPRINGS, WYOMING – Horse lovers, motorcycle enthusiasts and concerned citizens will rally in protest of the wild horse roundups scheduled for the Wyoming checkerboard. 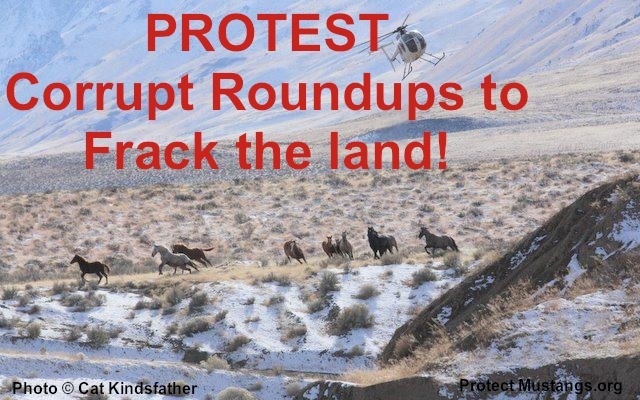 Focusing on the checkerboard, the protest will also address wild horse and burro roundups scheduled in the western states. 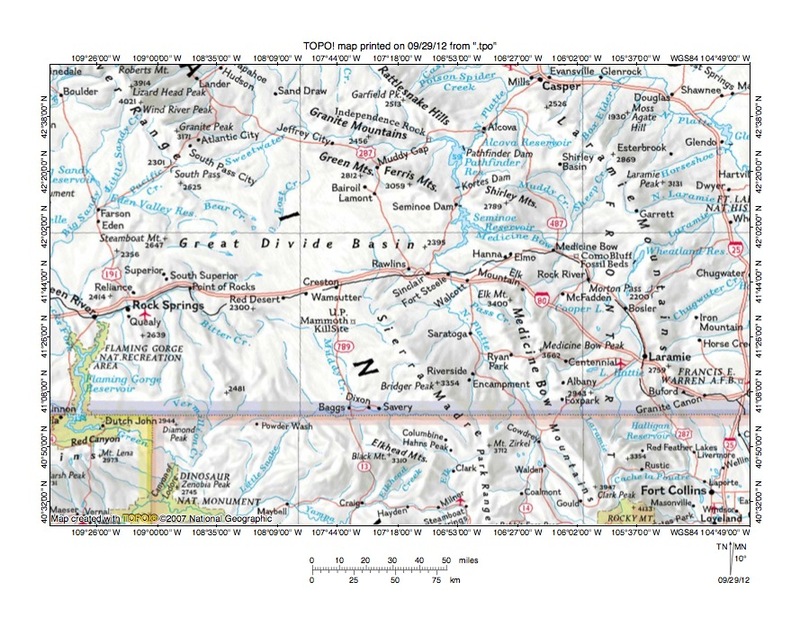 The rally starts at 1:00 on Tuesday, August 12th at the BLM field office, 280 U.S. 191, Rock Springs and then travels 3.2 miles to the Rock Springs Grazing Association, 200 2nd Street, for a second rally. The purpose of the rally is to convey that U.S. taxpayers do not support the removal of our wild horses and burros, especially at taxpayer expense. The majority of U.S. citizens do not agree with the use of our taxpayer dollars to subsidize private livestock owners. 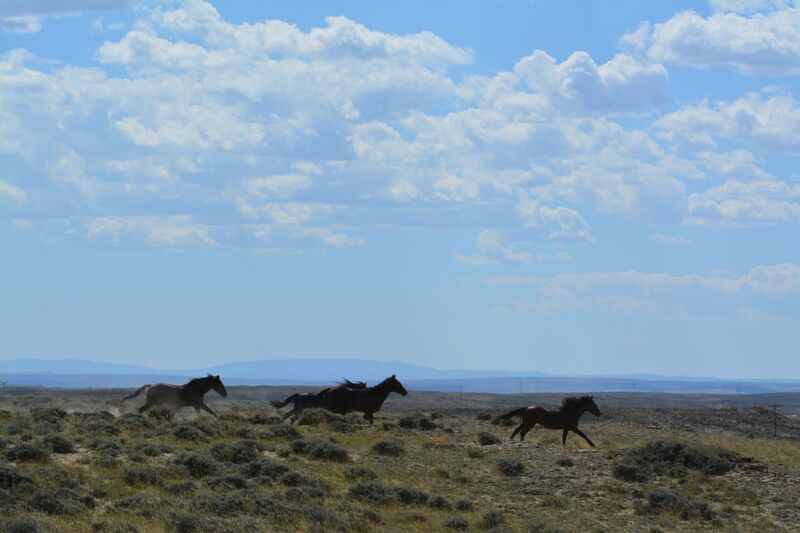 A press conference will be held at the BLM field office releasing the facts on the wild horse and burro and the subsidies the public lands ranchers have been receiving. Donations are needed to help feed and care for rescued wild horses. SAN FRANCISCO, CA – At 9:00 a.m. this morning, Bay Area students and grassroots activists staged a sit-in at Spear Tower, protesting the pending approval of the Keystone XL Pipeline–a pipeline that, if approved, would mean “game over for the planet,” according to leading NASA climatologist, James Hansen. As of 10:00am, 9 young people and supporters were arrested for trespassing, and released from jail at 850 Bryant Street at around noon. Dozens of others were prepared to risk arrest, but were unable to enter the building, as it went on lockdown when supporters began to march toward it. Thus, the 9 arrestees staged a sit-in at the Mission Street doors of Spear Tower, while hundreds of protesters rallied just outside. The building remained on complete lockdown for about 2 hours. Wild horses and burros are being pushed off the land for toxic drilling. They need a healthy environment to survive. America’s students from 80 colleges protested against the Keystone XL Pipeline today. See raw footage (below) from the march in DC and the 398 brave ones who got arrested outside the White House to make a point. We need climate justice for all creatures including indigenous wild horses and burros! 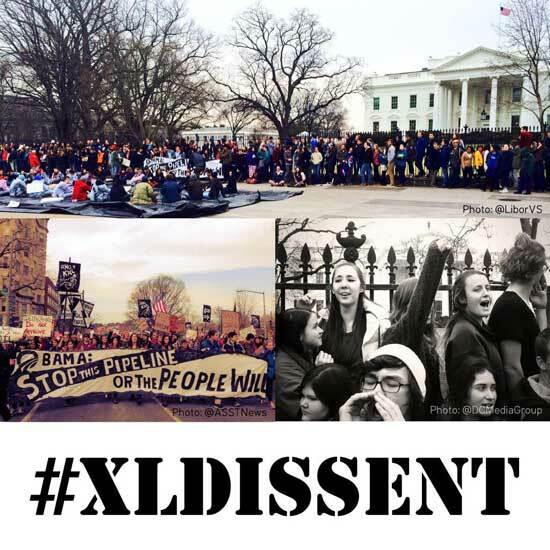 Comment against the KXL here>>> http://www.regulations.gov/#!submitComment;D=DOS-2014-0003-5966 Due March 7th!